A Journey to Join the Festivals of Worship of Nature. Saving environment doesn’t necessarily require high education, political understanding and ecological degree of expertise. It can be conceptualized in several emotional ways. The worship of nature in the Himalayan villages of Darjeeling, Sikkim and North east region of India, is one such emotional practice that not only protects the Nature but also gives it the highest position of love and respect. The world runs on emotions, greed, power, money, fame. All are precisely the emotional beliefs. So why not promote religious and tradition that indirectly benefit the environment in a more modernized way. Well the seeds of this though was sowed long before by the oldest tribes of the Himalayan villages. Even today you can commonly find many rural areas in Darjeeling and Sikkim still worshiping nature making it a grand social gathering. Although many modern Christal minds of today’s generation in the villages paint it black giving it the name of superstitious practice, it precisely has no social hindrances . In contrary it promotes the respectful perspective towards nature to grow in the minds of today’s generation that further can indirectly help in nature conservation. In this context I would like to give an example of many villages where even the travelers have started joining in such kind of events where worship of nature is celebrated in a grand way. I salute my ancestors who still follow the tradition of ” jungle devi puja”. 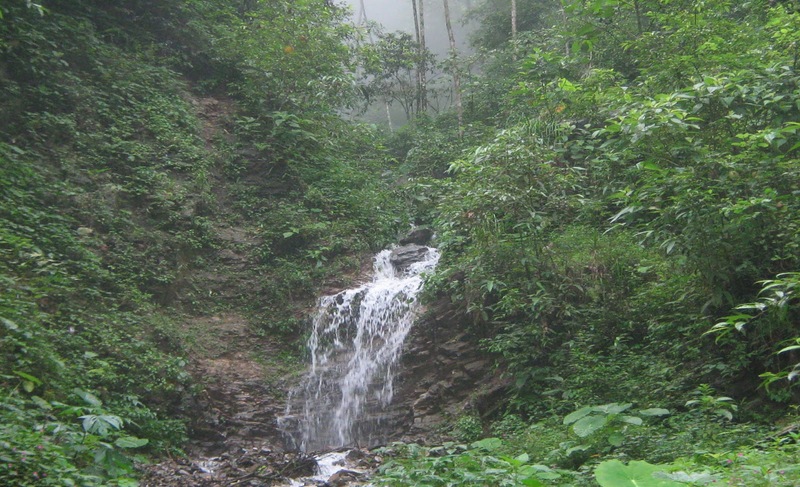 A day is scheduled and all the villagers with their offerings march upwards towards a sacred place of the jungle, the strangest part is its most dense part of the forest situated nearest to the village. They all have their feast, worship the goddess and return. No villager has ever dared to disturb the abode of goddess but cutting trees or grazing animals, which is the reason the small streams that originates in this part are still running perennial and supply the drinking water to the whole village throughout the year. Perhaps our ancestors predicted this and decided to proclaim it as sacred place of jungle. What a tradition to save forest and environment? Every year there is this festival of worship of nature in the Himalayan villages of West Bengal and Sikkim. Now- a – days many meaningful travelers have also started scheduling their matching the calender of such events. This is an experience for them where they can see how this customary practice has been passed on to generations after generations and is still quite remotely happening in many places. Meaningful Travel has now opened up this opportunity for the travelers to check with us the correct dates of such events happening in the different Himalayan villages, so they can get this meaningful experience while on their journey. So nature lovers we should promote these areas and these superstitious traditions as if being a little superstitious we can save nature then it does not cost so much of higher political decisions, national budget distributions and other high profile activities that seldom plays its effective role. So if you want to contribute towards worshipn of nature in the Himalayan Villages, contribute to these places guys and let’s promote its saga to continue saving nature. Or pay your homage to this place once you visit Samsing Suntalekhola. Talk to the local hosts for such kind of travel plans here . We, the entire members of Samsing Chauthary bringing forth the hearty thanks from all the nature lovers would like to proclaim the praiseworthy support given by the Honorable B.D.O ( Gorubathan)Mr Pritam Limbu and Respected Panchayat Secretary , Mr Binod Bhujel ( Samsing-Kumai G.P) to Samsing Chauthary (NGO)who convened our initiatives under the concept of “ Traditional environmentalism”. Mr Binod Bhujel truly appreciated our effort and to emphasize more on such places which has been playing a great role to save the ecology along with its ritual and religious importance. Not only he appreciated in words but also convened the matter and inspired the honorable B.D.O Mr Pritam Limbu and they both prepared an innovative project to plant new trees and fence the entire forest area of 8 hectares under the scheme of M.N.R.E.G.S. The work of plantation has been started spreading an inspirational flow of religious and traditional appreciation along with environmental awareness to the entire village of Samsing Fari in understanding their role to save the ecology and the nature beauty of their own place. How to be a social Traveler?